I spent consecutive weeks in Nashville, Tennessee recently. Eight nights out of 11 at Opryland. My first trip south was for Blissdom – a blogging conference – and I was there on my own time. My second trip was for Commodity Classic – a conference for corn, sorghum, soybean and wheat farmers – and I was there for work. The first trip I was surrounded by 750 blogging women (well, there were a few token males there too). 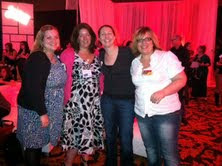 Some of my Real Farmwives of America gal pals! The second trip I was surrounded by 6,000 farmers - men, women and children. in the basement due to tornadoes ripping through the Midwest. While the two conferences were on the outside as different as night and day, if you look closer there were a lot of similarities. 1. Getting Lost...I was smart enough the first stay to ask how to get to my room. I wasn't so smart the second stay. I MAY have wandered the halls for 25 minutes before finding my room. Man, Opryland is HUGE!! 2. Food...the first group buys, cooks, eats and serves it. The second group grows it. 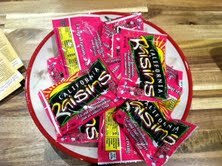 but these were yummy too. 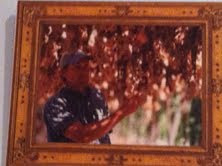 And I learned that some growers dry their raisins on the vine (below) and others dry them on tarps spread out in the vineyard. They also served warm oatmeal raisin cookies. 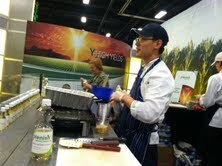 At Commodity Classic, the trade show not only featured tractors and seed corn, but also delicious omelets and apple fritters cooked up in a new, healthier soybean oil. Why were omelets and apple fritters being served at a convention for farmers? Someone has to grow the soybeans so we can buy the oil at the grocery store! 3. Technology...I saw smart phones, iPads and laptops at both conventions. 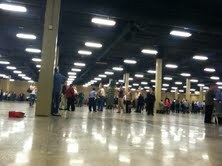 While the #Classic12 Twitter stream wasn't as crazy as #Blissdom, it was quite busy. 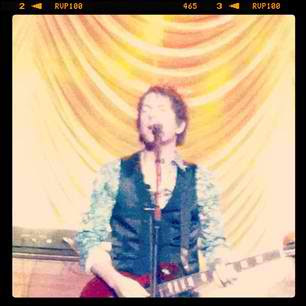 Also, I learned about Instagram, Facebook and other technologies at Blissdom. I learned about GPS, enhanced seed traits and apps for everything from weather forecasts to market updates at Commodity Classic. 4. Passion...I don't think I know of any two groups of people who are more passionate about what they do than bloggers and farmers! Enough said. 5. 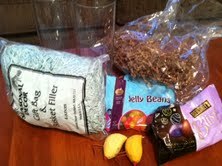 Compassion...we helped ConAgra donate 40,000 meals to help end child hunger at Blissdom. 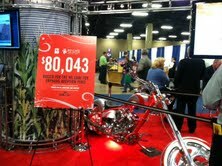 At Commodity Classic, it was announced that Beck's Hybrids helped raise $80,000 for families looking to adopt. So many children helped...I feel blessed being associated with both groups! 6. Entertainment...being in Music City meant some awesome musical acts to entertain us. 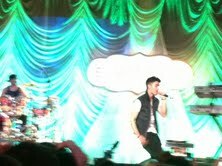 At Blissdom, we saw both Joe Jonas and Rascal Flatts. Oh, Joe Don, you can sing for me any day! 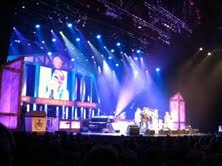 At Commodity Classic, I went to the Grand Ole Opry not once...but twice! It's an amazing venue...such history there! At Blissdom, I went into Opryland on Thursday morning and didn't leave until Sunday morning. At Commodity Classic, I went downtown three different times and listened to some great local bands. 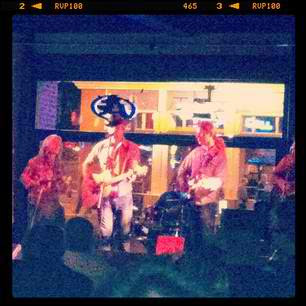 Sing me some Conway Twitty boys! While I am SO, SO happy to be home, I feel like I should be heading south in a couple of days! Sorry for the low quality photos! I carried around my big, fancy camera at both conferences and ended up snapping most of my shots with my iPhone!